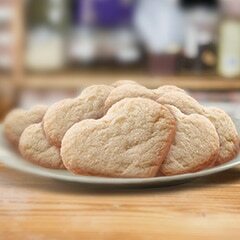 For Biscuits, in large bowl, blend flour, baking powder, salt and baking soda. With pastry blender or two knives, cut in Country Crock® Spread until mixture is size of coarse crumbs. Gradually drizzle in buttermilk, then stir until just moistened; set aside. For Turkey Filling, in 12-inch nonstick skillet, melt Spread over medium-high heat and cook carrots, celery and onion, stirring occasionally, 5 minutes. Stir in water, milk, Gravy Mix and cranberry sauce. Bring to a boil over high heat, stirring occasionally. Reduce heat to medium and cook, stirring frequently, 3 minutes. Stir in turkey and heat through. Spoon into 2-quart casserole. Drop dough by tablespoonfuls on turkey filling. Bake 20 minutes or until biscuits are golden brown.